The month of October was great as we kicked off our fall programs and offerings in 6 of our 8 chapters. God continues to raise up the mentors and resources needed to make these programs possible to the young men from fatherless and single parent homes we are engaging in these communities. We appreciate all the prayers, financial support, partnerships, and hours spent volunteering from each and every one of you. Together we are making a difference one young man at time. The month started in our brand new NE Atlanta Chapter where Program Director James Hipp led an Archery program. James utilized our facility in Dallas GA to hold this program and plans to do the same in the coming months. He had a great program as boys and mentor spent time learning archery basics and ended with a shooting competition. Each mentor shared with the boys what Truth in Nature meant to them and how God is using this program to grow them in their walk before wrapping up the day. Following this program our Dallas GA Chapter held its first deer hunt of the fall. 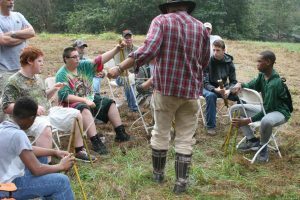 Program Director Don Brooks held this overnight program where boys and mentors came together for a time in the deer woods. The boys learned about their prayer life and communicating with God and boys Chandler, Jackson, and Austin all got deer with their mentors the following day. The third weekend of the month was a busy one as our Chapters in Columbia, SC, Apex, NC, and LaGrange, GA all had programs. 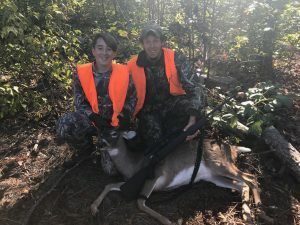 In Columbia, SC Program Director Rick Hall led a Cast & Blast to get the boys ready for the November Deer Hunt while a team from Awaken Church worked in their bunk house to get it ready for the new year. 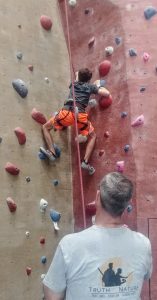 Apex, NC Program Director Cory Bowes was rained out and moved his program indoors with some rock climbing between boys and mentors. 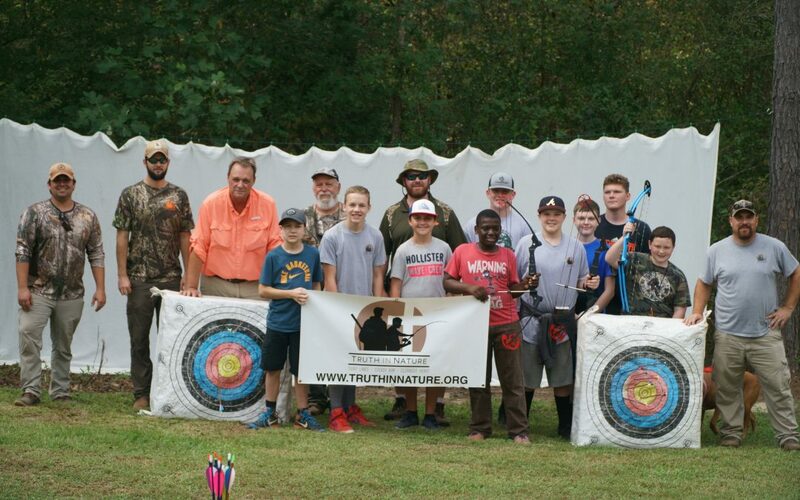 In LaGrange, GA our own cowboy Tom Veale joined Program Director Jeff Benefield and led a Pioneer and Outdoor skills program for the boys and mentors there. Each of these program accomplished team work, bonding between mentors and boys, and most importantly time in God’sWord hearing personal testimony from mentors and applying it to their life. Rounding out the month our Bush, LA Chapter held its October Deer Hunt. 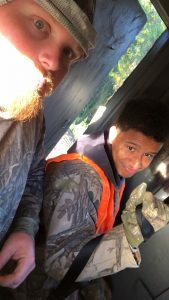 Program Director Ronnie Alpha had boys and mentors together to spend time in the deer woods where it was 3 of the young men’s first time ever hunting. One young man Kameron was able to get a hog and another young man Kaleb got his first deer ever. The boys learned how to trust in Jesus during the storms in life. This was another great month and as we move towards closing the year down and the holidays we ask that you continually life these mentors and boys up in your prayers. Our specific prayer and mission is for these young men to come to learn who they are in Christ while using God’s Creation as our backdrop. Make sure to following along on our social media avenues and our website for all the updates.